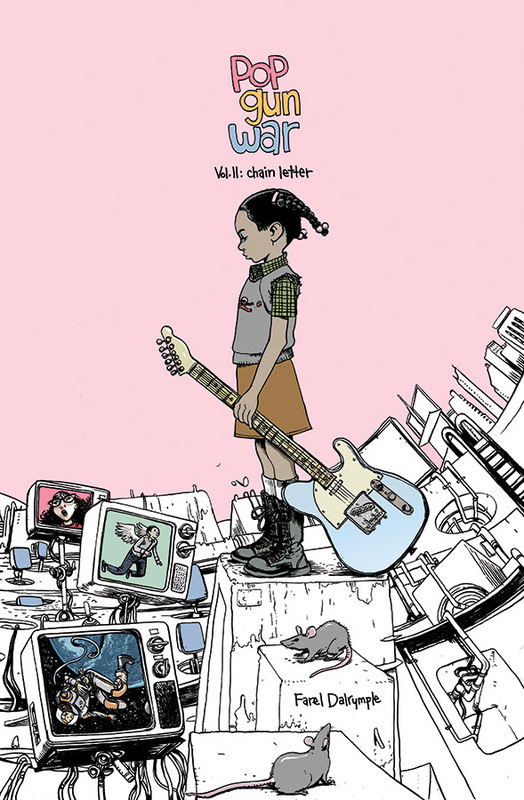 Indie comics cartoonist Farel Dalrymple returns this June to the comic stands with Pop Gun War: Chain Letter. Pop Gun War: Chain Letter is a graphic novel sequel to his award-winning, critically acclaimed urban fantasy graphic novel Pop Gun War: Gift. The original Pop Gun War: Gift released in 2003, and has since received high praise for the story of an inner city boy named Sinclair, who discovers a pair of discarded angel wings. This original urban fantasy work was re-released under from Image Comics in 2016. Pop Gun War: Chain Letter arrives (at $12.9) in comic book stores Wednesday, June 14th, and bookstores Tuesday, June 20th.